George Romero’s seventh zombie opus gives the feeling that the legendary director might be growing tired of making zombie movies after four decades. 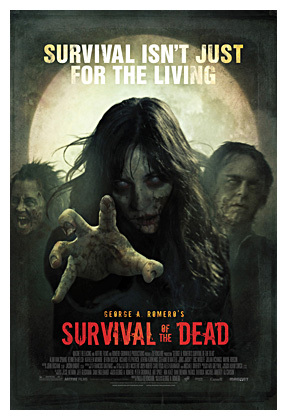 Survival’s story of feuding Irish clans and the living dead is weak and a bit ludicrous as an island matriarch (Richard Fitzpatrick) is trying to keep the island’s zombie inhabitants “alive” and a functioning part of society, despite their appetite for human flesh. His exiled rival (Kenneth Welsh) believes the opposite and returns to the island with some rogue soldiers…including Sgt. Crockett (Alan van Sprang) from Diary of the Dead…to prove his point. 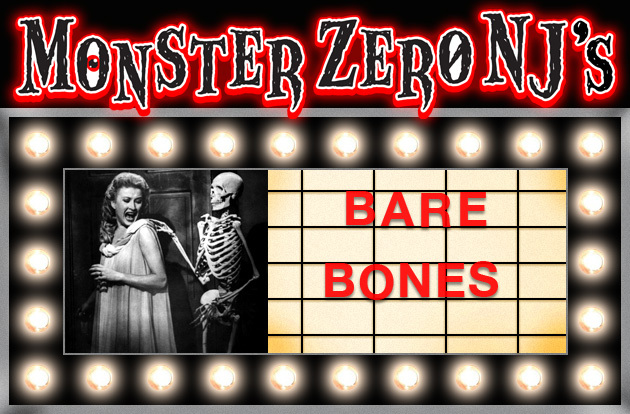 Once again Romero tries to show us people are far more dangerous, by greed or stupidity, than the zombies, but this time his message is as half-hearted as as is his direction. Romero directs the movie like he just doesn’t care and a lot of it seems like a joke, as if he isn’t taking his own material seriously. Previously Romero used satire to deliver his message, now the usually deft satire is replaced with dumb humor that disrupts the more serious tone. Not sure what kind of film Romero was trying to make this time and not sure he knew either. Sadly this would be his final directorial effort upon his passing in 2017.